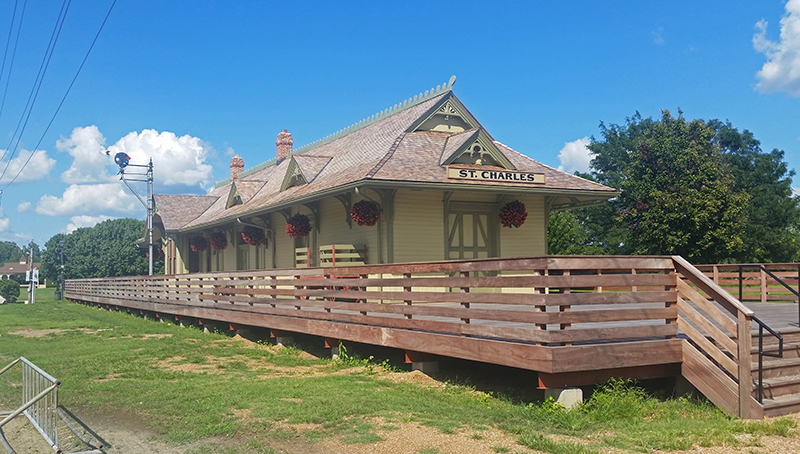 One of the most well-known and historic landmarks in the City of St. Charles is the Katy Depot, originally named The M.K and T Passenger Depot. 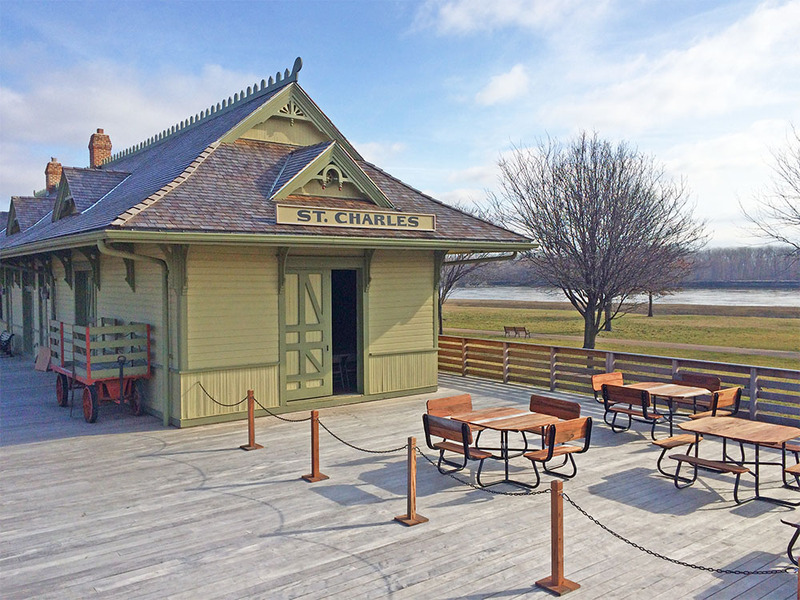 Original construction of the depot was completed in 1893 and the tracks throughout St. Charles and along the river quickly began to experience an industrial boom. A part of the South Main Historic District, the Katy Depot is restored and relocated and runs along the Katy Trail State Park in Frontier Park for all to enjoy. This signature piece is home to Santa Claus at Christmas time, storybook readings for children, and is a popular spot for wedding and senior photos. The Katy Depot proudly stands as a representation of the history of St. Charles to our residents and visitors and will expectantly continue to do so for generations to come. For more information or to rent the Katy Depot, call the Park Office at 636-949-3372.